Porsche had already announced the introduction of the Panamera Turbo S E-Hybrid and the Panamera Sport Turismo, but the automaker reserved a surprise for us at the Geneva Auto Show by unveiling the all-new Porsche 911 GT3. From a design perspective, the car inherits many of the regular 911’s styling cues introduced last year, but the GT3’s status obviously merits some distinctiveness. As mentioned by Michael Mauer, head of design at Porsche, the GT3 receives a host of mechanical components derived from race cars, and the same goes for its styling components. Its performance has to be maximised above everything else, of course, and some compromises had to be made. According to Mr. Mauer, the challenge wasn’t greater in the case of such a car, but just different. We notice the large intakes up front that bring fresh air to the brake callipers, as well as the intakes on the car’s flanks to cool down the rear-mounted engine. The signature, oversized rear wing is made of carbon fibre, and is destined mainly to provide extra downforce, not for looks. Also: 2018 Porsche Panamera Turbo S E-Hybrid: 680 horsepower! As for the car’s powertrain, the naturally aspirated, 3.8-litre flat-six has been ditched in favour of a 4.0-litre mill, lifted from the 911 GT3 RS. 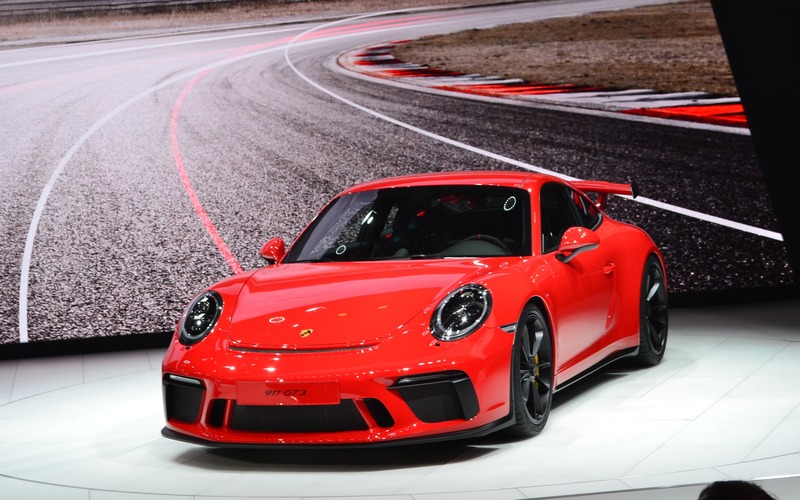 It develops 500 horsepower at high rpms and the good news here is that a six-speed manual transmission (the regular 911 has a seven-speed unit) is now available in the GT3. It’s obviously a little slower than the standard-issue PDK automated gearbox, but it should please race-car drivers. With a curb weight of 1430 kilograms, the car boasts an excellent power-to-weight ratio of 2.86 kg/hp. The 0-to-100 km/h sprint is a done deal in as little as 3.4 seconds with the PDK transmission, and 3.9 seconds with the manual gearbox. Just like the 911, the GT3 is equipped with an active rear-wheel steer system that pivots them in the same or in the opposite direction as the front wheels, according to speed, in order to enhance the car’s agility and high-speed stability. 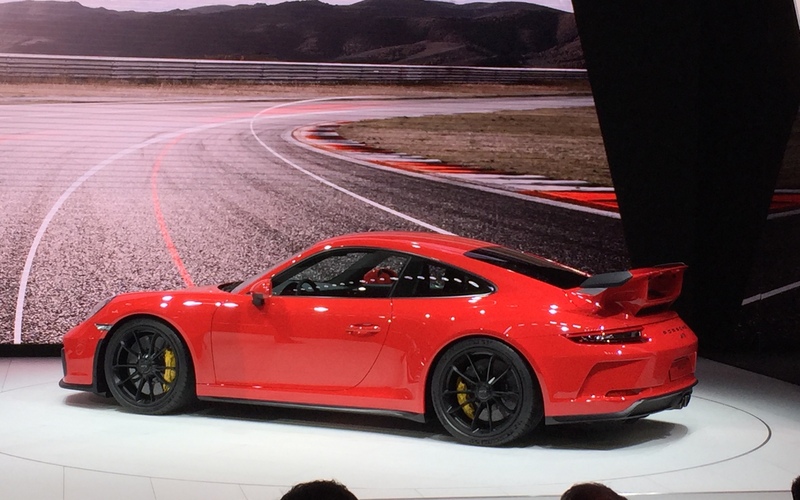 The retail price of the Porsche 911 GT3 is set at $163,300, and the car will hit showrooms in the third quarter of 2017. Geneva 2018 Porsche Panamera Turbo S E-Hybrid: 680 horsepower! Spotlight on 2018 Porsche 911 GT3: We’re Driving it This Week!